Get the most use out of your living room, family room or home entertainment room with the help of this sofa group. This sofa offers comfortable seating as well as the ability to convert the sofa into a bed. Get the most use out of your living room, family room or home entertainment room with the help of this sofa group. This sofa offers comfortable seating as well as the ability to convert the sofa into a bed. With the included ottomans, you can easily add a sleeping solution to your living room when guests come over. The ottomans also allow for different configurations and can be paired with the sofa to form a sectional or together to form one long ottoman. 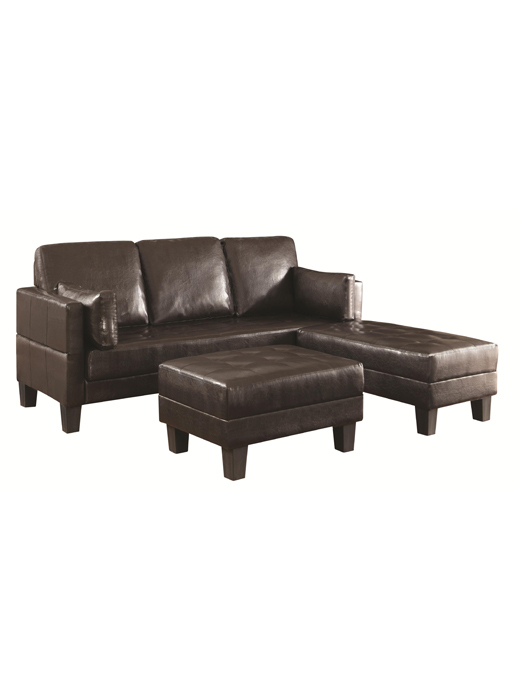 You can arrange this comfortable sofa group in a configuration that suits your space and needs. 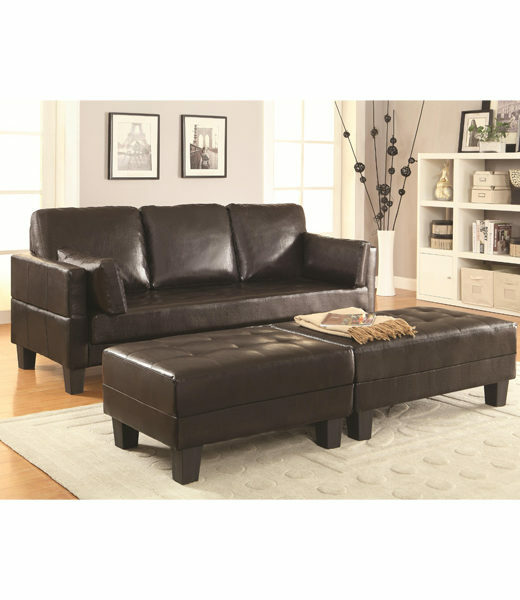 Sleek track arms, tapered legs and tufted seats create a stylish, contemporary design in your home. The faux leather upholstery completes the modern design. 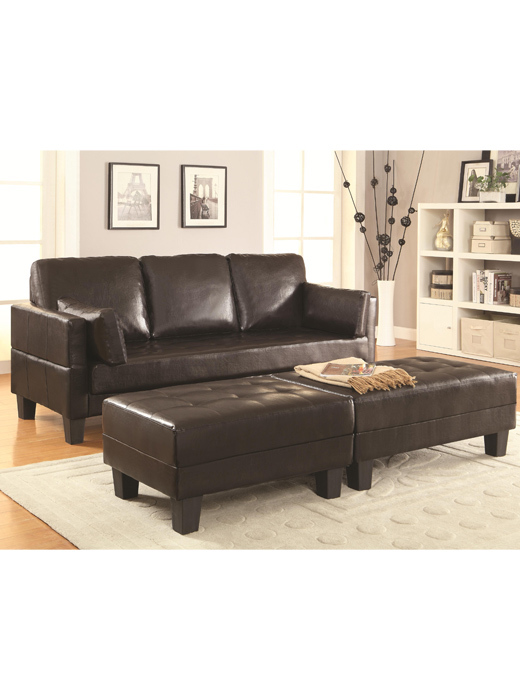 This modern sofa group will offer endless arrangements, plenty of space for family and friends, and comfortable seating in your space for years to come. Fabric Content Brown vinyl base.